Takeshi Okada is a former football player that was head coach of the Japanese national football team between 2007 and 2010. 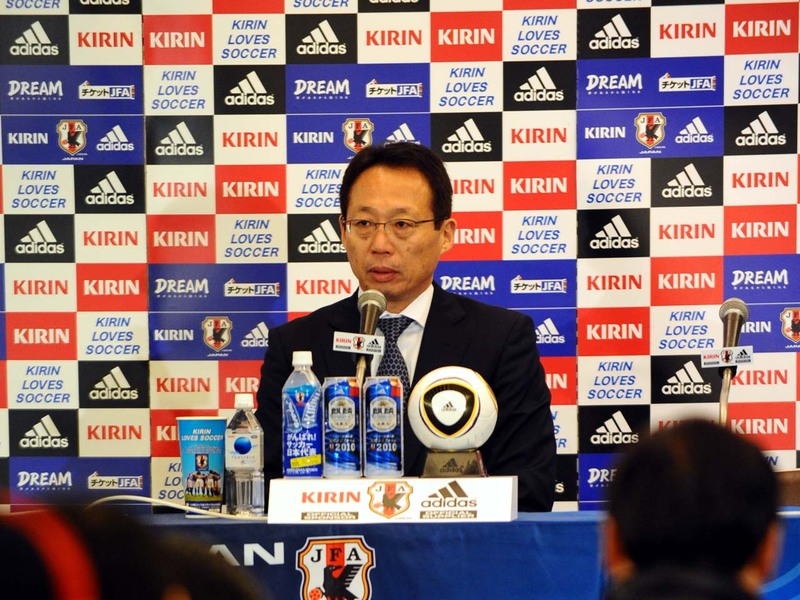 His team reached best 16 on the 2010 World Cup which revitalied the pubic interest in football in Japan. There are different kinds of football managers and Okada was an academic, strategic type. He studied relentlessly, not only looking at traditional materials but also he found ground breaking ways of giving team Japan unique strengths. One of the most interesting findings he came across was that when he came across a data that pointed Japanese players where much faster at accelerating than European players. He later found out that this was due to the compact body shape of Japanese players which made it possible for them to step differently. With this finding, he collaborated with a professional sprinters to make the whole team learn this special step. As a result, he managed to accelerate the whole team which gave them advantage over other nations. Okada also continually tried to make a harmonious team. He says that in order to become a great team, the members must first accept each other. To respect each others strength and weaknesses. The steps after that is to set a goal, then to discuss how to reach that goal. An interesting insight he mentioned was that many players and teams set goals. This is because people always recommend setting goals can help them achieve it. But how many of these players actually believe that they are going to archive this? In order to make setting goals relevant, one must 100% believe that they are going to achieve it. And he recommends that telling everyone your goal so that you can’t back out. Team Japan shared publicly their aim for the 2010 World Cup which was to reach best 4, even when everyone believed impossible. Currently working at Creation Center and pursuing Master of European Design . Originally starting in a product design degree, my interest shifted towards a more holistic design while studying at Glasgow School of Art. I aim to broaden my experience and knowledge by working in varied cultures and strive to draw from these knowledge to create new possibilities.